In 1950, Cliff Barrows and Billy Graham began a weekly radio broadcast called the Hour of Decision. 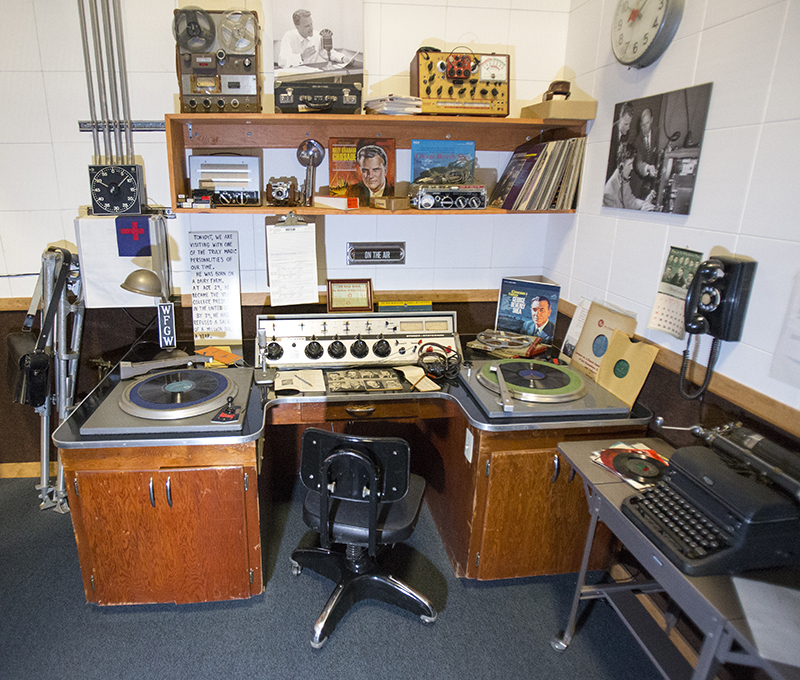 The picture below, taken from a display in The Journey of Faith, depicts a reproduction of their radio studio. If you look closely, you will notice turntables used to play vinyl records, a typewriter, and a reel-to-reel tape machine. 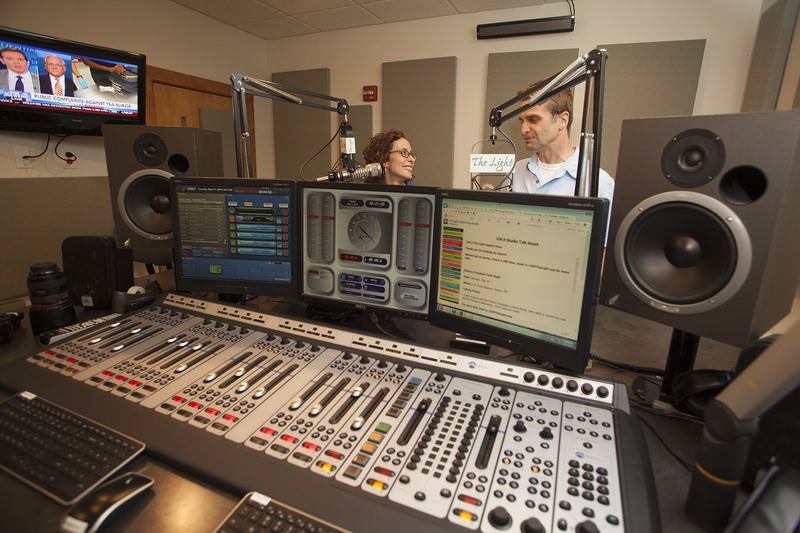 In 2017, Blue Ridge Broadcasting (BRB) continues to spread the good news of Jesus Christ through its two stations: 106.9 The Light – WMIT and 106.7 The Light – WFGW. Technology has done away with turntables, typewriters and tapes. This studio has a digital audio control board and multiple computer screens. 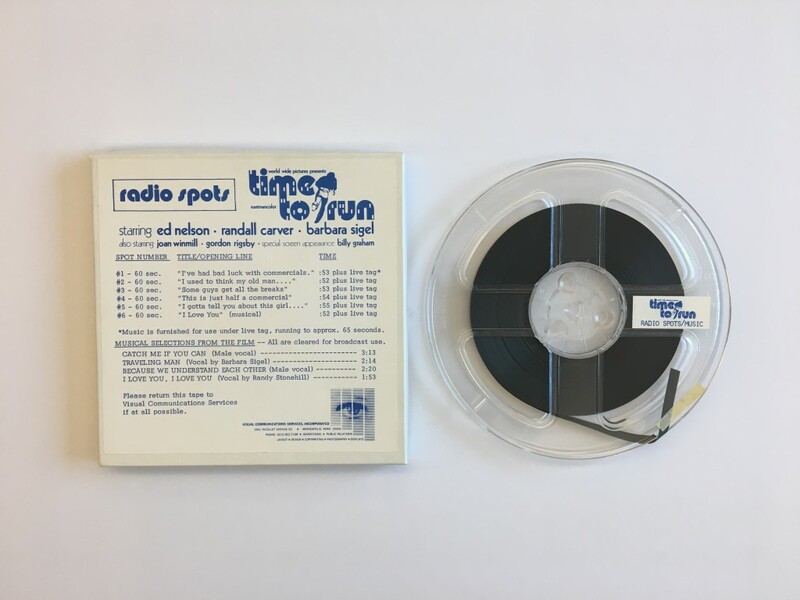 In 1972, the Billy Graham Evangelistic Association’s production company, World Wide Pictures, produced a film titled Time to Run. Below is a radio spot that ran as a promotion for the film. Radio producers recorded audio on a tape recorder, edited it by splicing the tape to re-arrange the difference pieces of audio, and then stored the final radio spot on this tape for distribution to radio stations. 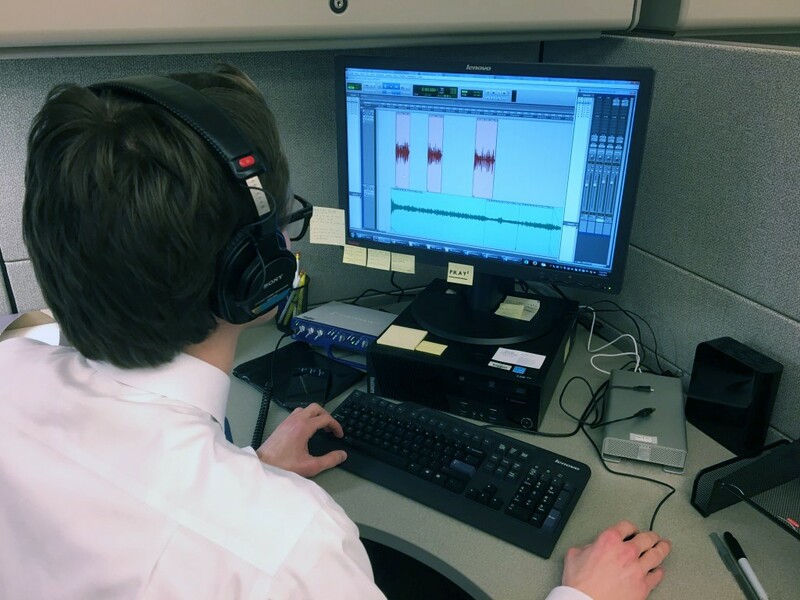 Produced in 2014, this radio spot for the Billy Graham Library uses no tape. The audio was recorded and produced through computer programs, and it is now stored as an mp3 file. Billy Graham Radio handles all radio spot production needs for the Billy Graham Evangelistic Association, including the Billy Graham Library. It also produces a number of online and broadcast programs, such as GPS: God. People. Stories. and Decision Minute.